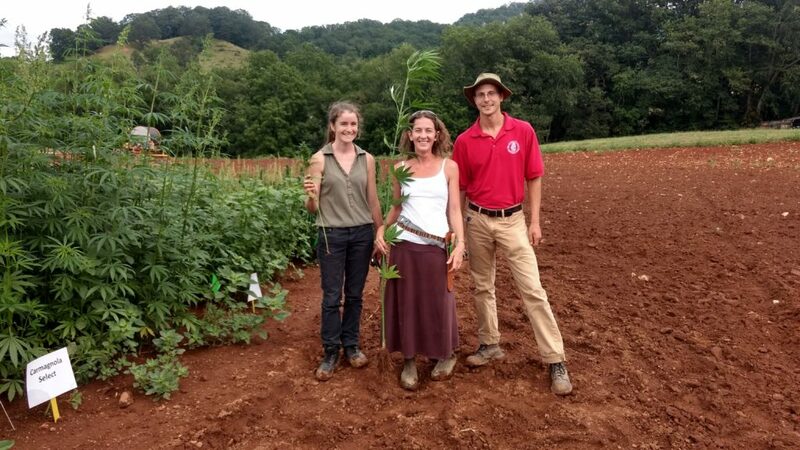 On August 8 we held our annual Alternative Crops and Organics Field Day at the Mountain Research Station in Waynesville, NC. 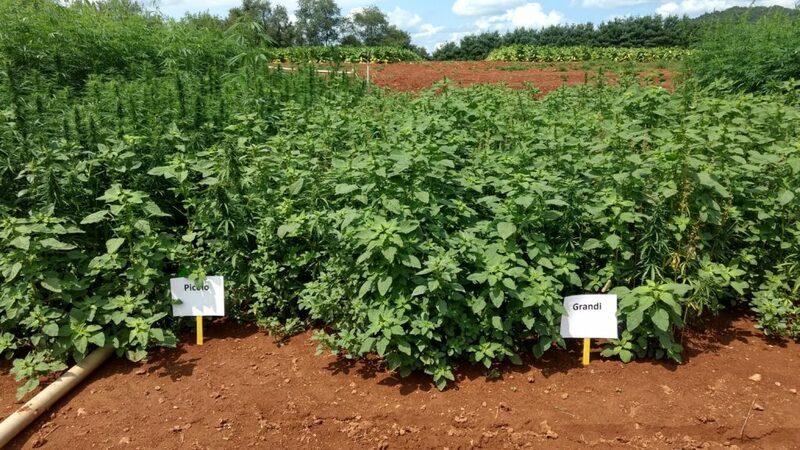 One of the most popular stops on the tour was our Industrial Hemp variety trial and planting method study. 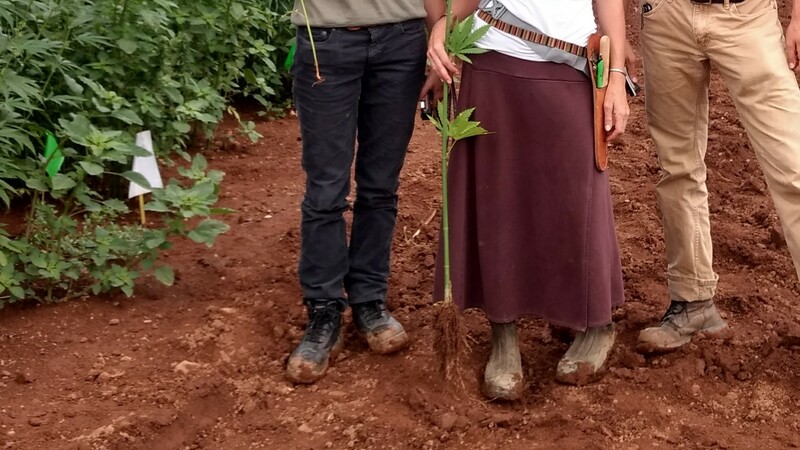 Pictured above are Leo Stefanile and Margaret Bloomquist who work in my program in western North Carolina and Zeke Overbaugh, a graduate student working with faculty in eastern North Carolina. While examining our plots, these three pulled up a plant from a grain variety (the one on the left) and a fiber variety (one on the right). Look at the difference in plant height and root growth. Below is a close-up of those roots. Close-up of roots from grain and fiber varieties of industrial hemp. 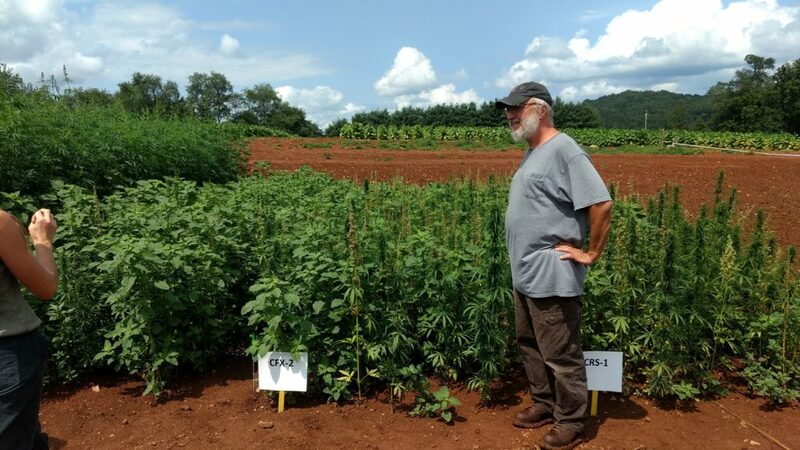 And here are a few more pictures from our industrial hemp trials at the Mountain Research Station in Waynesville. 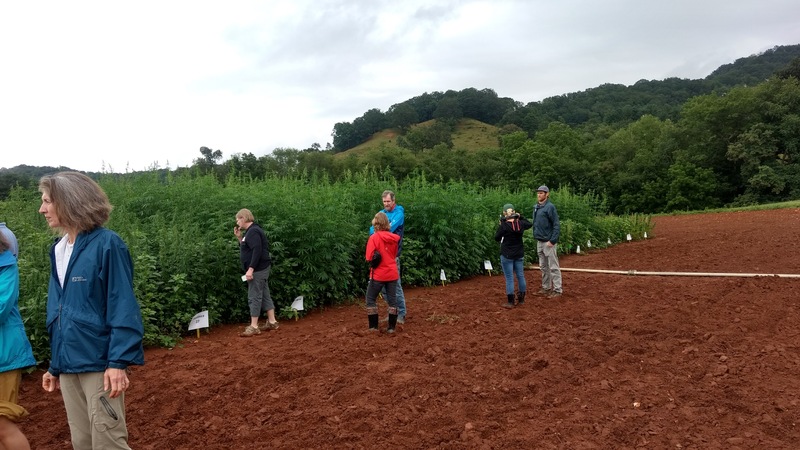 Group visiting industrial hemp trials at field day. 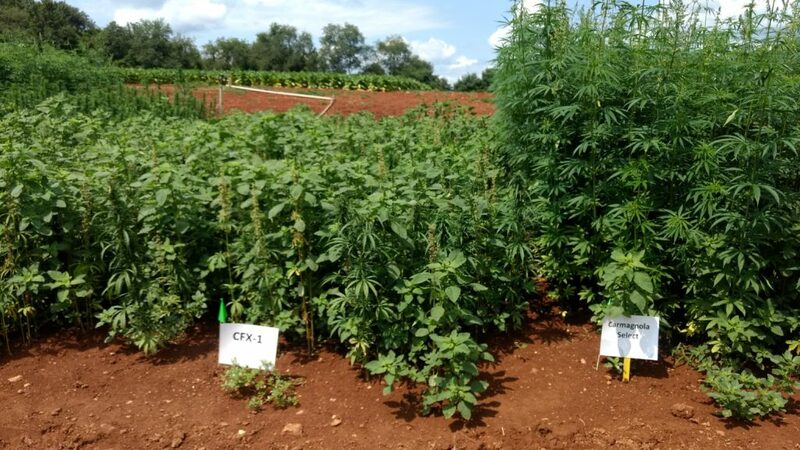 The industrial hemp varieties CRS 1 and CFX 2. 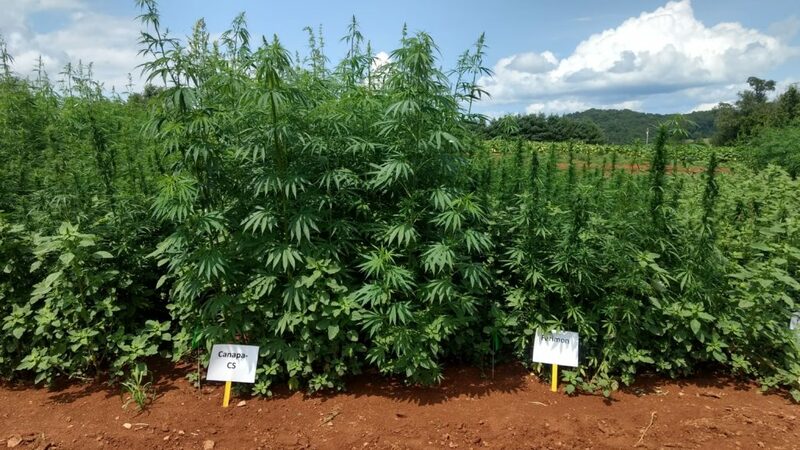 The two industrial hemp varieties Carmagnola Select and Katani. 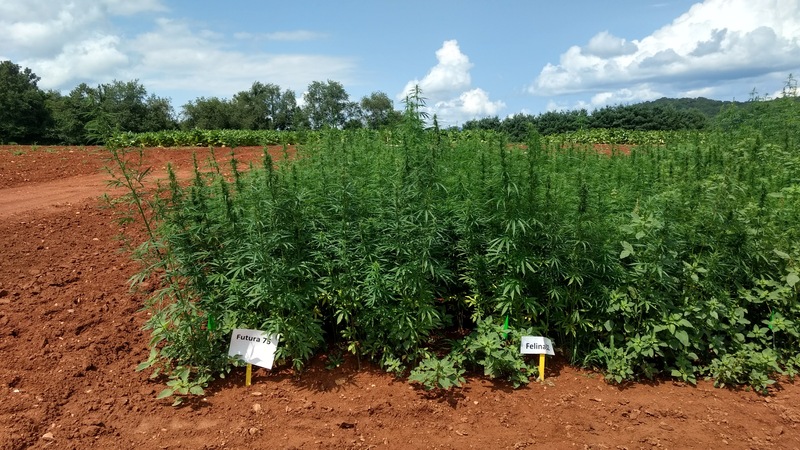 CFX 1 and Carmagnola Select industrial hemp varieties. 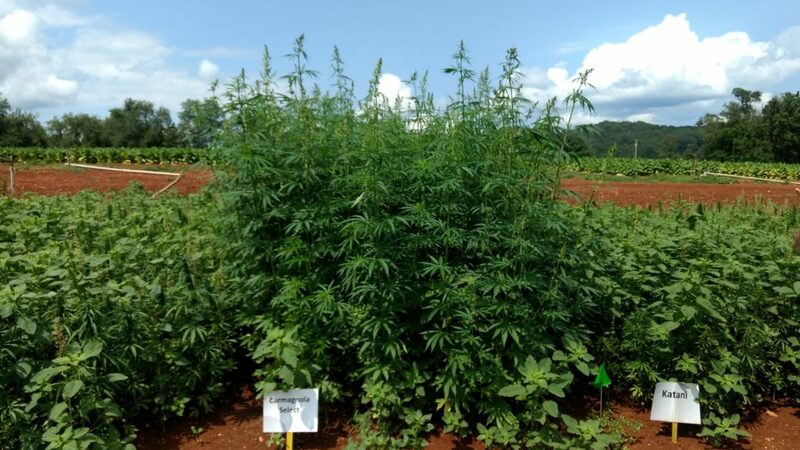 Picolo and Grandi industrial hemp varieties. Canapa CS and Ferimon industrial hemp varieties. 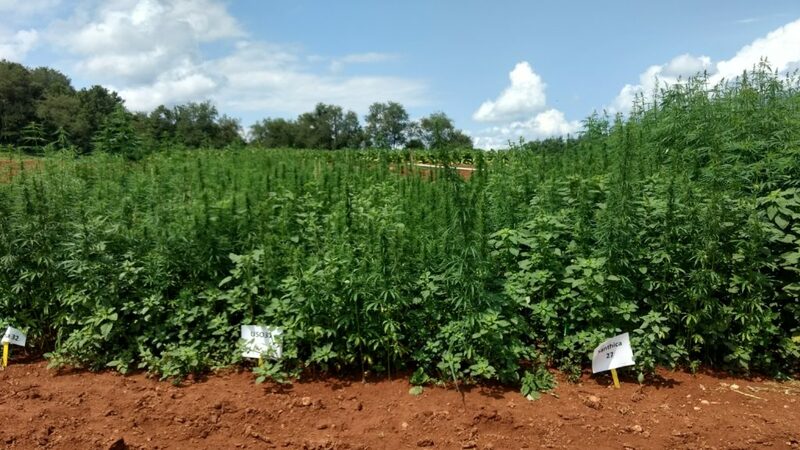 Carmagnola and Fedora 17 industrial hemp varieties. 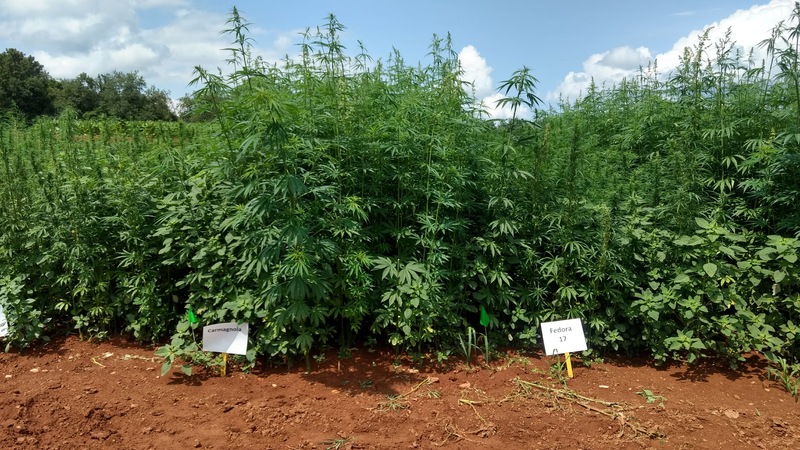 US031 and Santhica 27 hemp varieties.